Nowadays, developers and projects are strongly committed in improving anonymous and decentralized systems. The Silk Road Black Market had a serious disadvantage by having a centralized server system that made them vulnerable and was the responsible breach that effectively led the FBI to seize their operations. Silk Road was the first Black market ever to be created with the intent of allowing users to buy, sell, and trade about any type of items and services much of them escaping established government laws and financial rules; items traded in Silk Road included firearms, drugs and even services like hired hit man. This somewhat illicit nature of Silk Road marketplace, turn them into an open target for the FBI. Soon after Silk Road closed its doors, a new concept of the initial idea was used to design a new and improved marketplace said to use a proof of concept that could demonstrate the peer-to-peer viability of a decentralized marketplace which could ultimately be resistant to government shutdown. 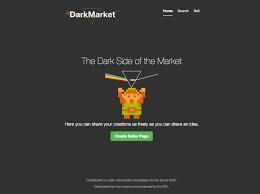 This new market was originally called Dark Market, but after pressure from the bitcoin community developers adopted the brand OpenBazaar to this new open marketplace for the digital age. Silk Road had all private and important information stored within a centralized server; this server was seized by the FBI. Completely different from this approach, the OpenBazaar is built on top of the Bitcoin protocol and will be decentralized with no central server to store information; to resolve this issue they scatter the encrypted private information along the network. The developers of OpenBazaar, said that original brand was perceived by the community has an improper brand with strong connotations to the illicit Silk Road, and to prevent that they decided to rebrand it has OpenBazaar as it sounds more politically correct while defining the ideal of free market. The three developers got together at the Toronto Bitcoin Expo Hackathon back in April and teamed up to design this new decentralized marketplace. According to the developers the OpenBazaar is an “open source project to create a decentralized network for commerce online, using Bitcoin that has no fees and cannot be censored”. Besides this, the OpenBazaar will be an alternative to the usual markets we have on the online commerce. These online companies provide centralized services and charge buyers and sellers while only accepting the costly forms of payment such as PayPal and credit cards turning the whole operation very expensive. Another aspect of these centralized web services is the need to provide personal information to these companies increasing the probability of identity theft. In other words, the conventional web market, are centralized and requires the user to provide personal data in order to use their expensive services, and OpenBazaar will be the only legal and cheaper alternative. In order to sell overpriced items the user would post the item on OpenBazaar as he would post it on ebay; this post is then sent out to the p2p distributed network, to find a buyer, and when it’s matched the OpenBazaar assigns a contract between both parties. A third-party is brought in who is mandatorily also a member of the OpenBazaar community. This third-party serves has the notary to witnesses the contract and create a multi-signature wallet serving as an escrow that ultimately requires 2 signatures for the release of the bitcoin. The seller would then ship his items; when the buyer gets the items he marks as received, and the multisig wallet automatically releases the funds to the seller control. Nevertheless if any problem appears during the process, the third party can act as a mediator while the multisig technology freezes all transactions for the intervening parties until the dispute is resolved. The developers also insured that the platform was prepared to be as transparent as possible and a system of reputation was implemented to allow users to track bad players and scammers. Governments Laws and corporations always tried to restrict free trade. Now, with the growing innovation in technology and the global internet communications, governments may not restrict free market places. 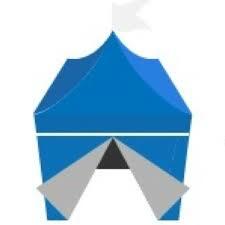 The OpenBazaar is said to revolutionize the industry while allowing a global scale free commerce.